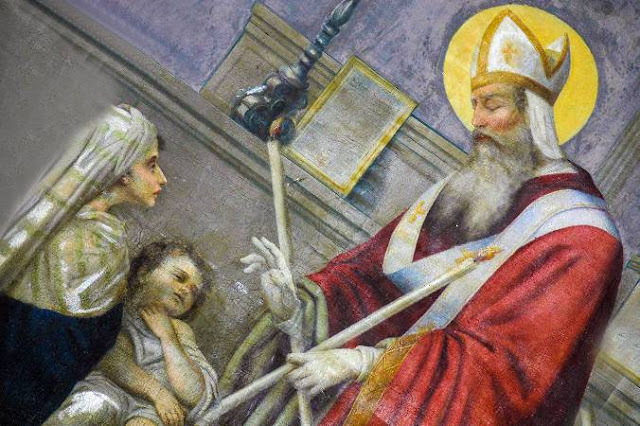 PRAYER: O glorious St. Blaise, who by your martyrdom left to the Church a precious witness to the Faith, obtain for us the grace to preserve within ourselves this divine gift, and to defend — without concern for human respect — both by word and example, the truth of that same Faith, which is so wickedly attacked and slandered in these our times. You miraculously restored a little child who was at the point of death because of an affliction of the throat. Grant us your mighty protection in similar misfortunes. And, above all, obtain for us the grace of Christian mortification, together with faithful observance of the precepts of the Church, which keep us from offending almighty God. Amen.